PLYMOUTH’S Myles Pillage took top honours in the second Pentathlon GB National Ranking Competition at the University of Bath and West Wiltshire Equestrian Centre this weekend. 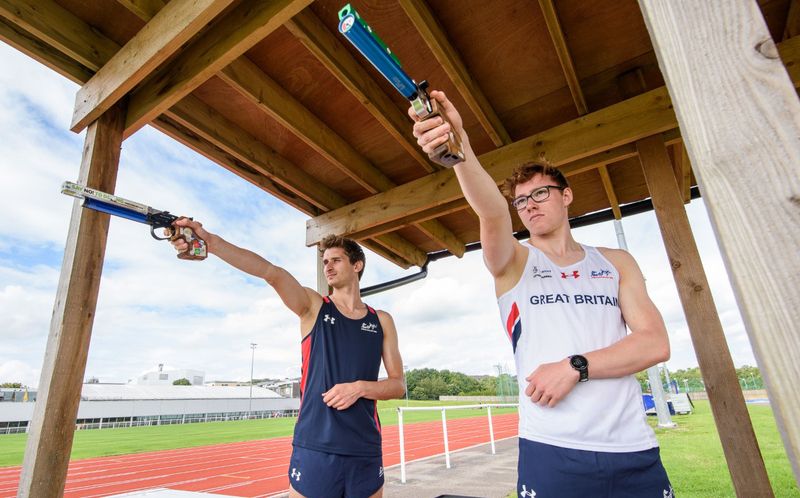 Pillage edged out Rio Olympians Jamie Cooke and Joe Choong in a thrilling event where the order of the top three changed throughout the day as Britain’s best modern pentathletes pushed each other hard at the venue of the 2019 European Championships. In a topsy-turvy competition, Pillage lead Choong and Cooke after the fencing and swim disciplines before a fascinating battle in the laser-run saw Orpington’s Choong come out on top as he led Pillage by a couple of seconds over the line. However, things changed again in the final ride discipline. First, Choong was penalised for an infringement during the course walk before reigning world champion Cooke piled the pressure on the leading duo with a perfect clear round. But Plymouth’s Pillage was up to the task, with a score of 293 giving him the provisional lead and when Choong rolled a single pole, the victory was confirmed for the 21-year-old Plymothian. Cooke took second and Choong third as his penalty came back to haunt him. In the women’s competition, Plymouth’s Kerenza Bryson finished fifth in a highly-competitive event which was won by Kate French, with Olivia Green taking silver and Freyja Atkinson third. In the girls’ competition, Annabel Denton and Georgina Mitchell finished in the top three. Plymouth College’s Denton took silver with 1,006 points behind winner Sarah Wilson (1,037) with Mitchell bagging the bronze with 991.